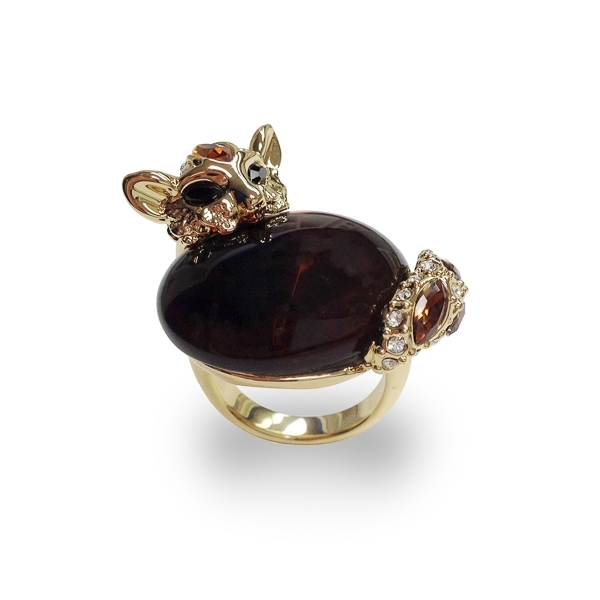 Description: This ring features a 14K gold plated aristocrat kitten with jet black crystal eyes and light and smoky topaz crystals on her head and tail, all curled up under a cover made of glass stone. This warm and fuzzy darling piece is surely one to enjoy any time. Material and Measurements: 14K Gold Plated Base Metal, Marquise Glass Stone, Crystals - Focal Point 1" X 1"
Enter Quantity for R-AE044-YG to add to your shopping cart.